New York, NY: John Wiley & Sons, 1997. BRAND NEW & Collectible. First Printing. 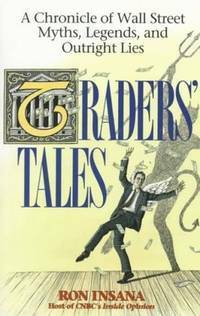 Collection of tales Wall Street insiders deem worthy of perpetuation. Not all attractive; for instance, the one recounting one day's volatile activity of Sea World stocks (page 95). Good to remember the book only records "myths, legends, and outright lies", and insiders and outsiders may laugh together.. First Paperback Edition, First Printing. Paperback. New/None As Issued. New York, NY: William Morrow, 1983. BRAND NEW & Collectable. Illustrated endpaper and beautifully handwritten text. First published by Webb & Bower, UK, 1982. An enchanting compilation of 26 English wildflowers, each for one letter of the alphabet, each gracefully portrayed in watercolor, and each made all the more meaningful with annecdotes, legends and poetry. Conceived as a special gift to her grandchildren, artist Elizabeth Cameron has given all a bouquet from the English countryside.. 1st American Edition, 1st Printing. Hard Cover. New/New.